Ultraviolet water treatment is a proven, chemical-free, way to kill 99.9% of the harmful organisms found in water systems. UV disinfection is environmentally responsible and water is treated to the highest standard with no harmful by-products or changes to its taste, colour or odour. Systems are easy to install, with minimal disruption to production processes, and, once in situ, are simple to maintain. Highly regarded as an economical and realistic water disinfection option, UV water treatment processes have become well-established in both the commercial and industrial sectors. 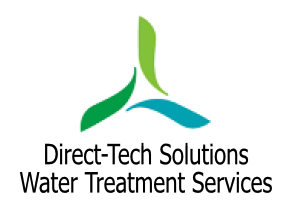 Direct –Tech Solutions can supply, install and maintain a full range of UV water treatment products, solving your company’s industrial water treatment issues in a cost-effective, reliable and eco-friendly way. Cooling and heating systems provide a perfect environment for harmful micro-organisms, such as Legionella, to thrive. Evaporated water and spray from these contaminated systems pose a significant threat to public health. UV water treatment is a recognised solution to this problem, safely and effectively removing hazardous bacteria from a range of industrial water systems without the need for chemicals or extreme temperatures. Ultraviolet water treatment techniques are increasingly becoming the preferred means by which industrial effluent is processed and brought within microbial limits for safe discharge into the environment. Free from environmentally hazardous chemicals, the UV treatment helps to maintain the fragile ecological balance and ensures that all local environmental regulations are met. UV water treatment also allows for treated waste water to be re-used, leading to a significant reduction in the amount of effluent needing to be ‘dumped’ in drains, streams and offshore. Water storage tanks are, by their warm and humid nature, breeding grounds for bacteria and, within them, there is the potential for harmful micro-organisms to multiply at an alarming rate. Ultraviolet water treatment can be introduced for effective disinfection to take place. Air borne bacteria can also enter the tanks during drain and fill operations, and can thrive in the headspace. UV water treatment units are ideal for tackling this potential source of infection, reducing the risk of costly production down time. Ultraviolet water treatment ensures that your CIP water supply and all water used to clean surfaces and equipment is disinfected and free from microbial contamination. UV water treatment is a recognised non-chemical solution and, as such, no toxin residues are left inside pipe work after cleaning. It is essential that general process and final rinse water, particularly in the food and beverage industry, remains free from all biological and chemical contaminants. Ultraviolet water treatment is a safe and effective way of ensuring that all harmful micro-organisms are removed from the water supply and that the taste, colour and chemical composition is not altered. The use of UV disinfection systems is cost-effective and environmentally friendly, protecting products from bacterial contamination and enhancing product quality, stability and shelf life. Water supplies in large office blocks, factories and leisure facilities are easily contaminated with harmful bacteria. Ultraviolet water treatment systems help prevent such contamination in showering, washing, and drinking facilities within large buildings and organisations. Air conditioning systems are a prime source of water borne bacteriological contamination. UV water treatment processes can be utilized to treat condensate cooling water and successfully prevent the growth of harmful microbial organisms. UV water treatment is regarded as one of the best ways to treat water supplies used in hydroponic farming methods. Being chemical free, UV disinfection has no impact on the pH or chemical make-up of the water and has no negative effect on germination or yield. Rainwater harvesting is growing in popularity in both the commercial and domestic sectors. With the price and demand for water continually rising, the increasingly scarce supply, and the growing emphasis on environmental sustainability, rainwater harvesting is now regarded as a realistic, eco-friendly, solution to our water supply needs. UV water treatment technologies ensure that harvested rainwater can be safely used for many industrial and commercial purposes, ranging from WC flushing to irrigation systems to industrial cooling water; the UV treated water is even safe to drink. Direct-Tech Solutions offers expert technical advice, tailored to our clients’ individual requirements. We source, supply, professionally install and maintain a wide range of ultraviolet water treatment systems, whatever your needs.